APA has strongly condemned the recent decision by the Department of Justice to not defend the patient protections provided in the Affordable Care Act (ACA) in the case Texas v United States. Since the ACA took effect in 2013, the uninsured rate among nonelderly adults has dropped 40 percent (from 20.5% in 2013 to 12.2% in 2016), according to the Kaiser Family Foundation. The Justice Department’s decision opens the door for insurers to deny health care coverage to the 130 million individuals with preexisting conditions and allows insurers to raise the premiums for Americans with disabilities, senior citizens, and those who have a history of using more health care. The Supreme Court had previously upheld the ACA’s individual mandate that required most people to carry minimum essential health insurance, but only in so far as it was a tax provision that yielded at least some revenue for the federal government. But because the Tax Cut Jobs Act eliminates the ACA’s tax/penalty provision of the individual mandate starting in 2019, the Justice Department determined that it will no longer be constitutional as of January 1, according to a memorandum filed June 7. Texas, along with 19 other states, had filed a federal lawsuit in February challenging the individual mandate and other patient protections in the law. 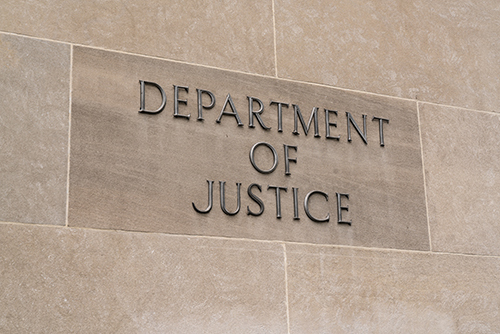 The Justice Department did not uphold the ACA’s “guaranteed issue” and “community rating” provisions. These provisions required insurance companies to provide coverage to those with preexisting conditions and provide the same premiums regardless of medical history. The Department of Justice’s brief in the case is posted at https://www.justsecurity.org/wp-content/uploads/2018/06/ACA.Azar_.filing.pdf.